So April was National Poetry Month, and as busy as it always is. Downtown Turkey owns this sidewalk. 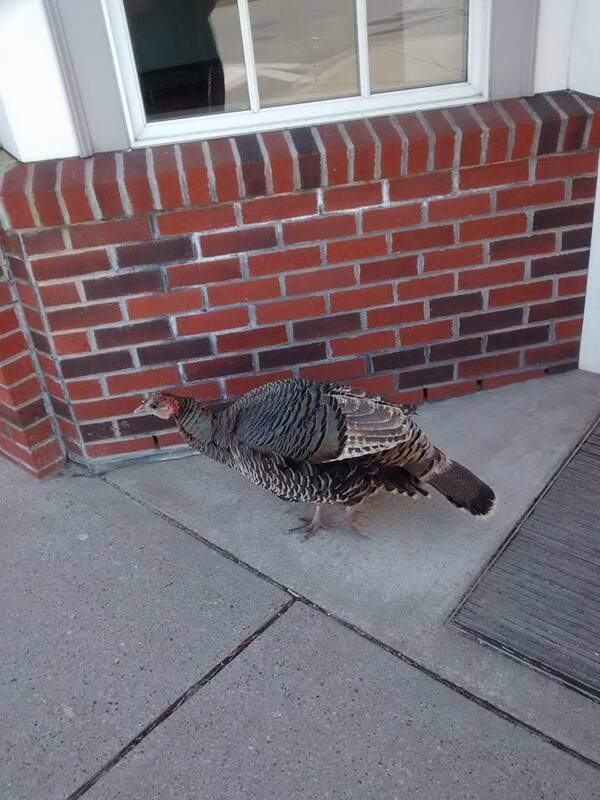 I visited Falmouth Public Library for two days of teen writing workshops and met this well-mannered turkey strutting his stuff downtown. As usual, my students inspired me, and I started a new flash fiction story. I took part in Goat Hill Writers Workshop-Palooza! 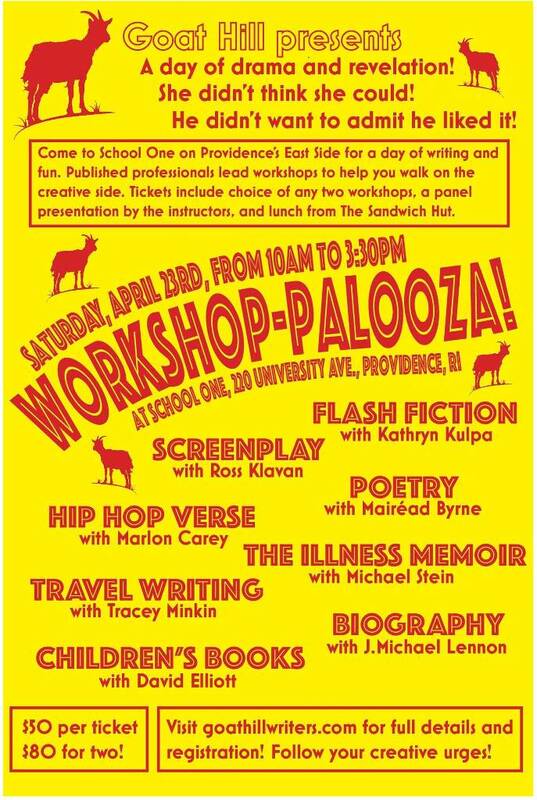 event, a daylong feast of writing workshops, in Providence and led two flash fiction workshops. Oh, and finished that story, and wrote another new story! I visited De La Salle Middle School, also in Providence, through the RI Writers in the Schools program (thanks, Tina Cane–you are the best!) and spent a spirited hour with some talented seventh-grade writers, doing erasure poetry based on a Prince song, a quote from To Kill a Mockingbird, and an encyclopedia entry about mourning doves. And I finished the month with a new publication, “The Last Thing She Wore,” in Monkeybicycle. Next month: more work on my forthcoming chapbook, Girls on Film, and rejuvenation and renewal at Morning Garden Writers’ Retreat!